Currently, all net new investments are being matched up to $500,000 by The Winnipeg Foundation! 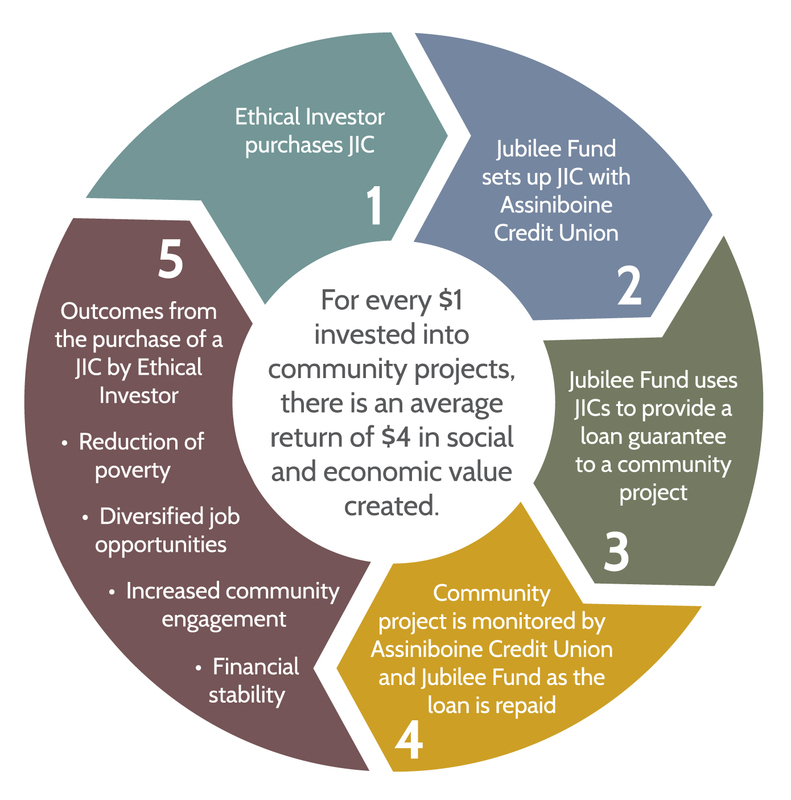 Ethical Investing is defined by the Jubilee Fund as a financial investment in a community that focuses on the social return of investment rather than the financial return. Jubilee Investment Certificates (JICs) generate 2% less interest that the posted rate of a GIC but have a very large social return. For every $1 invested into community projects through the Jubilee Fund, there is an average return of $4 in social and economic value created. Visit our Social Impact page for additional information. JICs are purchased by individuals, corporations, or organizations for a three- or five-year term. JICs are held by Assiniboine Credit Union. The funds generated are placed in an interest-bearing account which is then used to secure non-traditional loans from a financial institution. The Jubilee Fund maintains a loan loss reserve fund, sourced from donations, to protect investors from losses. To date, no investor funds have been lost due to minor loan guarantee losses. Email Monica Dueck for more information. Thank you to all our JIC holders who help make Jubilee Fund a success! Plus over 40 individual investors.